So wirst du stinkreich im boomenden Asien tells the astonishing and dramatic story of a man who transforms from a dirty and sickly boy from the impoverished countryside to a corrupt businessman, in the process spoofing the advice books that are read en masse by hopeful young men in Asia today. The nameless hero makes his first money in a huge city of millions, building up a veritable empire by trading in the most vital and precious good of all, water. He loses his heart to a young girl whose star ascends in parallel to his own. Again and again, their paths and fates cross. The hero of this rapidly told story could be any one of us, in search of a better life. Charged with tempo, this novel tells of moments of intimacy and stirring social transformations in the world of today. 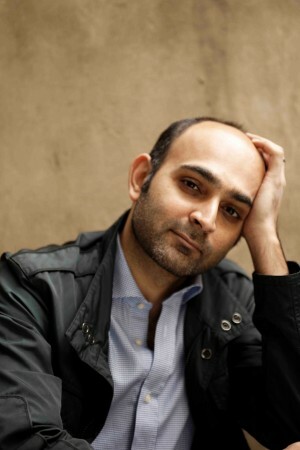 Mohsin Hamid, born in 1971 and raised in Lahore, Pakistan, studied law at Harvard and literature at Princeton. After living in New York and London, Hamid now lives once again in Lagore. He writes regularly for the Guardian, the New York Times, the Financial Times, the New Yorker, Paris Review, Outlook India, and Granta. His novels have been translated into over thirty languages. The Reluctant Fundamentalist was shortlisted for the Man Booker Prize and was recently filmed by Mira Nair. Moth Smoke was awarded the Betty Trask Award and named one of the most important books of 2000 by the New York Times. Eike Schönfeld, born in 1949, has been translating from the English for over 25 years, including works by Shalom Auslander, Nicholson Baker, Saul Bellow, Jeffrey Eugenides, Jonathan Franzen, Daniel Mendelsohn, Steven Millhauser, Vladimir Nabokov, J. D. Salinger and Sloan Wilson. 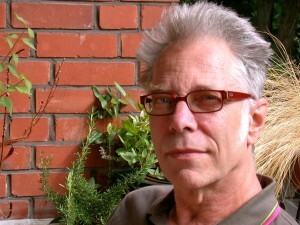 He has received numerous awards for his translations. In 2014, he and Nicholson Baker received the International Herman Hesse Award.